Being a big fan of just about any shade of blue, I just had to have this super cute Escapada top. Besides the gorgeous blue colors, this top also has a fun tassel fringe bottom. 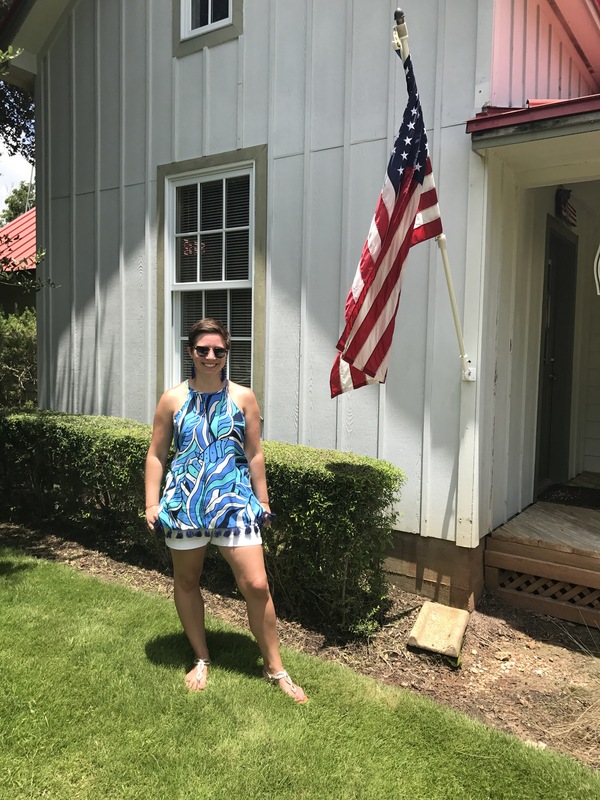 I also love how well it paired with these white Target chino shorts, that I’ve been practically living in lately, and these Charming Charlie tassel earrings for a fun Fourth of July outfit. What are some fun pieces that y’all are loving lately? P.S. I apologize for being absent from Short Sweet and Lovely for the past few weeks–things have just been a bit crazy for me as of late! Y’all, I am loving this sheath dress that I picked up a few weeks ago on super sale at Stein Mart. Yes, you read that right. I bought this dress at Stein Mart and am super proud of that fact. Honestly, who wouldn’t be after saving close to 100 dollars?! As far as the dress itself goes, I love the classic navy/white color palette and the style of it. I normally don’t go for a sheath style dress but from the first moment I put this on in the dressing room, I knew it was a perfect fit. It’s hard enough finding a dress at such a great price, but finding one that is fitted for someone with some curves and that hits just above the knee is nothing short of a miracle.